It’s a pity that the mini car can’t take you anywhere. But if you want to transmit your data between computers, the car shaped USB flash drive will be able to help you. As we can see from the images, the USB looks a bit like Mini Cooper, and features vibrant color tone and nice details on the casing. 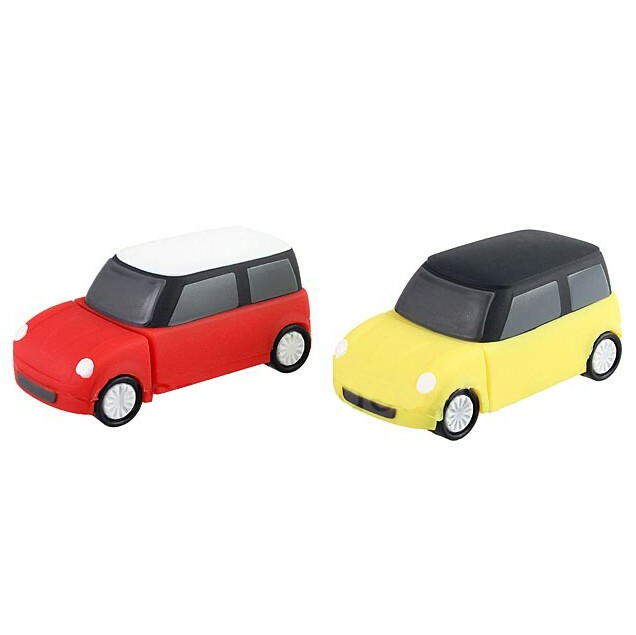 The USB port isn’t placed at the end of the mini car, but hidden by the removable head. Apparently the USB port can be better protected. Just removing the head, you can also conveniently plug the car shaped USB drive into your computer. It is a special Promotion Gift. Durable Solid Rubber Casing with Bold Colors. Custom Design Options Available.